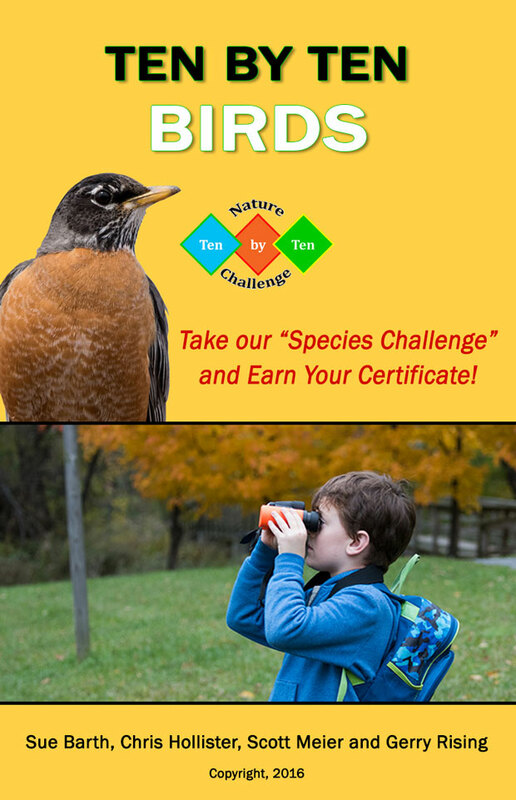 The Ten by Ten: Birds book challenges you to find ten groups of birds. Can you meet this challenge? Only you can answer that question. With games like Pokémon Go, you look for make-believe tokens. With Ten by Ten: Birds, you look for real wildlife: a crow, a pigeon or a robin. You don't need an iPhone to do this. All you need is the Ten by Ten: Birds book. When you find the ten groups, you can sign onto this website to list your achievement, get a badge and certificate and comment on your experience. You are also taking the first steps in becoming a scientist. Other books in the series like Ten by Ten: Trees and Ten by Ten: Insects will add more challenges. Again, can you meet these challenges? We bet you can. All the authors are active in the Western New York birding community and are members of the Buffalo Ornithological Society .